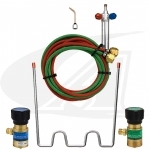 Arc-Zone.com delivers the industry's most complete line of "Little" or "Micro" Oxy-Acetylene and Propane welding products designed for efficient and economical light-duty heating, brazing and welding applications. Our micro oxy-fuel products are based on industry standard specifications, and manufactured under stringent quality controls. Each component is engineered to provide optimum performance and long-service life. 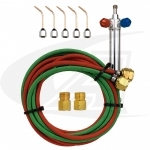 Designed for easy torch manipulation in tight spaces and each package includes all hardware needed to begin creating metal art right out-of-the-box! 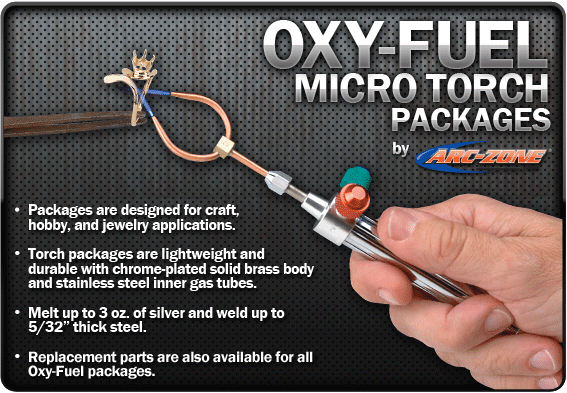 Oxy-Acetylene and Propane welding, brazing and heating packages are engineered for craft, hobby and jewelry applications. 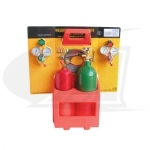 Torch packages are lightweight and durable with chrome-plated solid brass torch bodies and stainless steel inner gas tubes for long, trouble-free performance. Small, compact and powerful enough to melt up to 3oz. of silver alloy and weld up to 5/32" (4.0mm) thick steel plate. 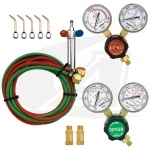 Arc-Zone.com stocks a full line of replacement parts and accessories for all Oxy-Acetylene and Propane welding, brazing and heating torches.